On a mission to build a comprehensive communications platform, Cision is proud to announce its agreement to acquire PR Newswire. By combining resources, Cision and PR Newswire will enable clients to better manage the entire lifecycle of communications – from influencer discovery and content distribution to engagement and campaign analysis. We’re sure you have questions about PR Newswire and its role as part of Cision. Please check the FAQs below. What does PR Newswire do? PR Newswire offers products that help communicators create, optimize, distribute and measure content across traditional, digital, mobile and social channels. They are headquartered in New York and have offices across the US, Canada, Europe, Asia, and Latin America. Why is Cision acquiring PR Newswire? Cision has agreed to acquire PR Newswire as part of our strategy to build a comprehensive communications platform. The combined offering will further establish Cision as a true partner to our customers, as we continue to demonstrate a commitment to remain on the far edge of communications technology, hold the deepest relationships with media and influencers and provide breakthrough research and best practices. What benefits does PR Newswire provide?  Our acquisition of PR Newswire further strengthens Cision’s position as a comprehensive platform for PR professionals. The integration of best-of features from Cision and PR Newswire will strengthen our suite of tools that enables communicators to be more efficient, data-driven and accountable. This also furthers Cision’s ability to help communicators turn data into meaningful, actionable insights — the necessary link between communications and business outcomes. The technology integrations will deliver better measurement and analytics, enhancing brands’ message distribution to connect with the right people at the right time. Timing for regulatory clearance and closing is 4-7 months and UBM shareholders also need to approve the deal. If you’re a Cision or PR Newswire customer, please contact your account representative for more information. If you’re not a customer and would like to speak to a representative, please fill out this form.